Failure of the Church in the United States of America to maintain its historic roots as a Free Church purchased by the blood of martyrs under the direct authority of the LORD Jesus Christ of Nazareth after 178 years, when in 1954 Senator Lyndon Baines Johnson sponsored a bill establishing the 501 (c) 3 in order to silence the Church selling our eternal inheritance for temporal government favor. 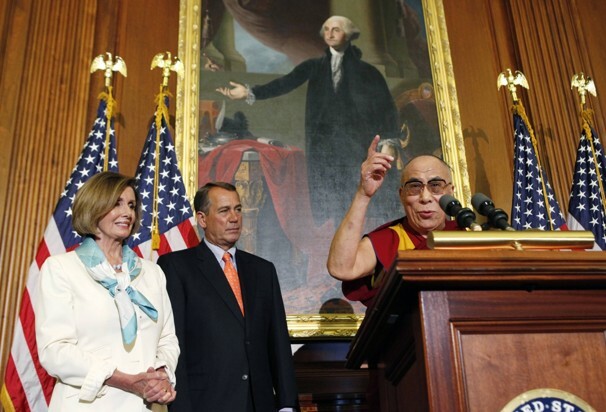 The US Government as any temporal power is subject to moral corruption and now actively supports Tibetan Buddhism, and sponsors the Dalai Lama as an instrument of its global political agenda. He was the first Buddhist leader to open the US Senate in prayer and as God-King of Tibet met with every President since Franklin D. Roosevelt. He consults the Nechung Oracle on a regular basis who has met with many leaders in Washington, DC. Leviticus 19:31. 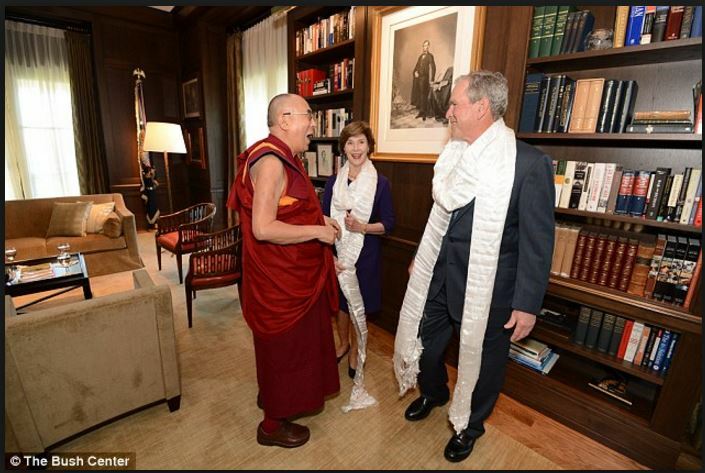 The Dalai Lama was the key speaker at the Second Anniversary of September 11, 2001 at the National Cathedral and awarded the Congressional Gold Medal, the country’s highest civilian honor. Joel 2:12-17; Rev. 18:1-8. 2. Sad Consideration of the Apostasy of the Church. In 1993, the Roman Catholic and Tibetan monastics secretly met in Chicago at the Parliament of the World’s Religions. 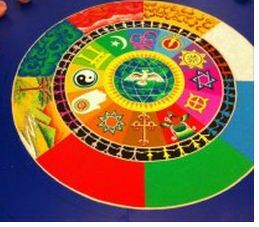 Since then, Catholic Universities, Cathedrals, and Centers have sponsored conferences with the Dalai Lama and or the building of sand mandalas in the United States opening the door to idolatry and the ritual spiritual defilement of the land. They have been joined by Episcopalian, Methodist, Baptist, Moravian, Presbyterian, and other denominations in hosting Tibetan Buddhist lamas who have built sand mandalas in their chapels, hosted the Buddhist Blood Relics, or conducted Tibetan Buddhist healing rituals which directly violate the commandment “You shall have no other gods before Me.” Exodus 20:3; 2 Chronicles 36:14; Revelation 3:16-19; 17:1-18. 3. Repentance: Failure of the Church Gatekeepers. 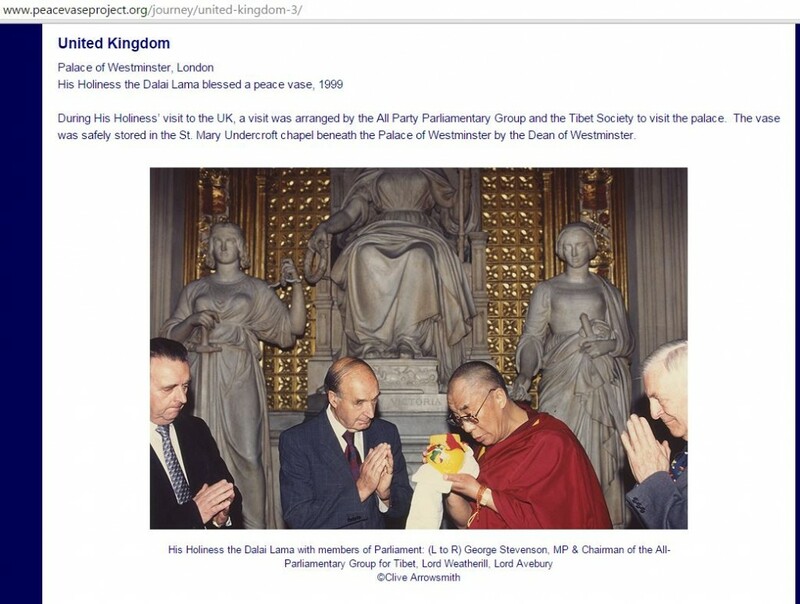 Over the last twenty five years, the Dalai Lama has been funded as a modern Balaam to speak in venues to vast numbers of students and adults in institutions which were initially founded to train pastors and missionaries to take the Gospel to the ends of the earth. We have failed to honor the fathers and mothers of the faith and have not attended to our duty to do the work of God in our generation and have failed as stewards to faithfully present an unadulterated Gospel of Jesus Christ to the Tibetan Buddhist world. 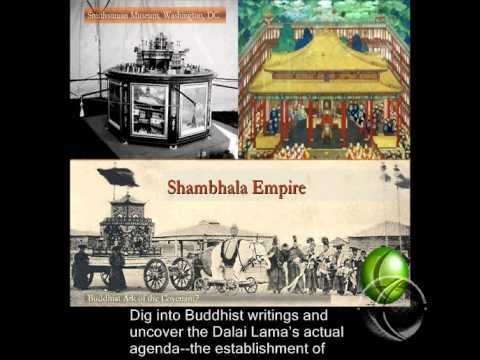 Concurrently, the enemy has planted tantric vases in every state Capital, every high place, National Park, sacred sites, rivers, and lakes in the United States, including conducting the highest Tibetan occult ritual the Kalachakra Ceremony in the US Capitol. Leviticus 18:24, 25.